Today was a big day for the Kibera Kiosk Project. We have hired Freddy Omondi as the assistant manager and employee #2. Freddy has a number of great qualities, but one of the things that excites me the most about bringing him on board is the fact that he was born and raised in Kibera and still lives there today. One major risk of any new project in an area like this is that the founders and management team can’t fully appreciate the cultural nuances of their target market. With Freddy involved in strategic and operational decisions (along with our extensive market research of course), we should be able to really design solutions that the community will embrace. I met Freddy on my very first trip to Kibera and he helped inspire this idea. 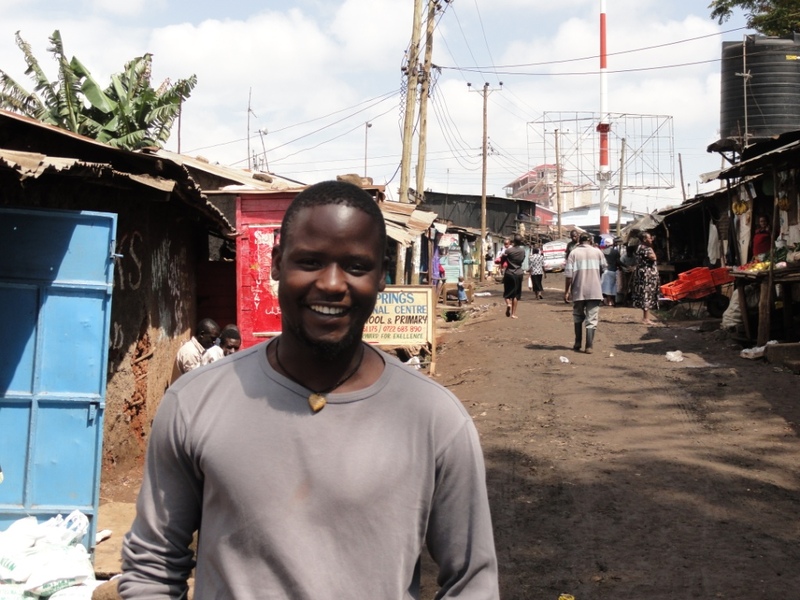 Freddy and his brother give tours of Kibera. During my initial tour we spoke for quite some time about the problems in Kibera and about water and sanitation specifically. Freddy is outgoing and has a great work ethic. He has been instrumental in our market research and business planning through his community introductions and willingness to answer my countless questions over the past several months. Freddy will report directly to Steve and will play a key role in community marketing, vendor selection and training, and operations. Congratulations on the new hire. I look forward to watching the Kibera Kiosk Initiative progress with your knowledgeable leadership. Congratulations Jer. That’s great news!